See Sharp Press, 9781884365003, 74pp. 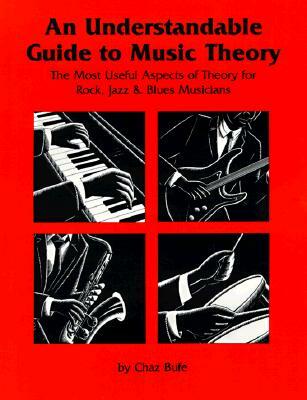 This guide explains the most useful aspects of theory in clear, nontechnical language. Areas covered include scales (major, minor, modal, synthetic), chord formation, chord progression, melody, song forms, useful devices, (ostinato, mirrors, hocket, etc. ), and instrumentation. It contains over 100 musical examples. Chaz Bufe is an accomplished guitarist, has performed for many years in blues and jazz groups, and holds a degree in music theory and composition.